« TCWP is hiring a WaterSmart Program Assistant – Be a Part of Our Team! Today we have a special guest blog for you by Emily Seldomridge and Jennifer Walker. They are both part of the Texas Living Waters Project. There’s no better time to reevaluate your outdoor water use than during Smart Irrigation Month. As the month draws to a close, temperatures remain on the rise, but your water use doesn’t need to follow suit. 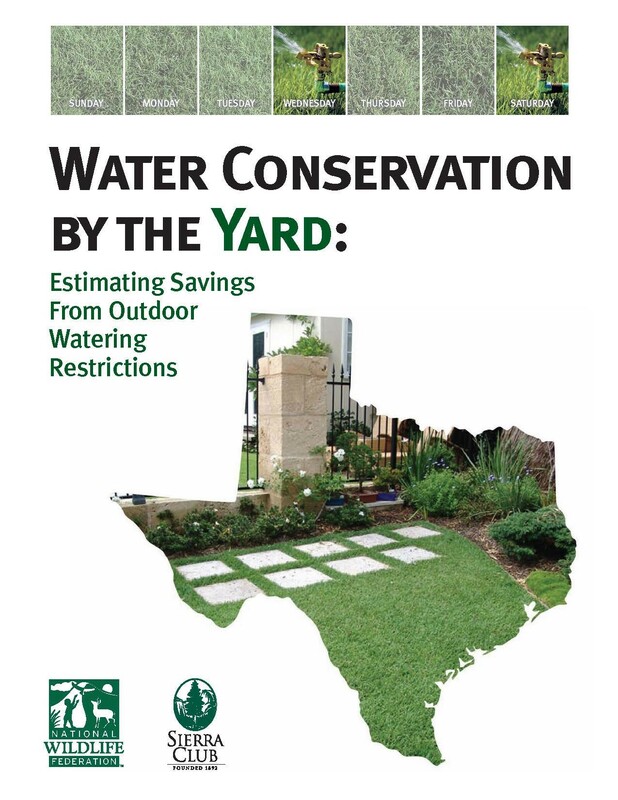 In Texas, outdoor water use, particularly lawn watering, accounts for almost one third of annual residential water use, and can be much higher during hot, dry summers. Instead of following this trend, let’s learn from the drought and continue to limit outdoor watering to no more than twice per week. 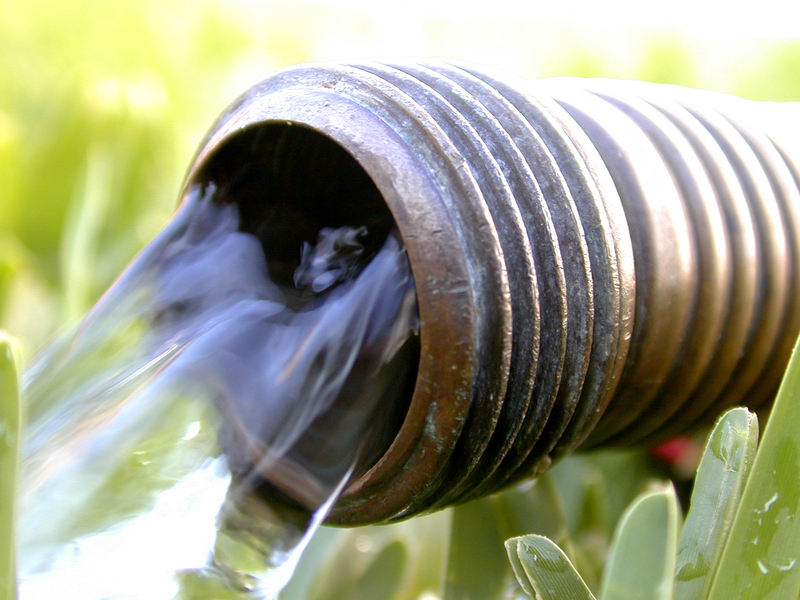 This commonsense water saving strategy can result in significant water savings. The Sierra Club and National Wildlife Federation recently released a report, Water Conservation by the Yard, which details the potential water savings from adopting a year round no more than twice per week outdoor irrigation program. Watering no more than twice per week provides adequate moisture to maintain a lawns appearance. In fact, during times of above average rainfall, additional outdoor watering may not be required to support an outdoor landscape, especially one that contains non-native plants that are not well adapted to Texas’ diverse climate. While there is no substitute for water smart landscaping (landscaping that will reduce or eliminate the need for supplemental watering), outdoor watering restrictions often yield the greatest proportion of water savings. As a region, the greater Houston-Galveston area, can save up to 62,348 acre-feet of water (about 20 billion gallons; 1 acre-foot of water is about enough water to supply two families of four for a year) per year based on projected 2060 water use levels. Why focus on the lawn? Homeowners have a tendency to overwater landscapes by as much as 2 to 3 times the amount needed. This irrigation water is generally the same water we use for drinking, cooking, and bathing. Watering the lawn less frequently not only helps stretch our current water supplies, but also creates a hardier lawn. Less irrigation forces the plant roots to grow deeper. Deeper roots provide more structure to the soil and hold more water, which allows lawns to better survive the drought. While watering twice per week or less can achieve substantial water conservation at a minimal cost, overall, the greatest conservation savings can be achieved with proper irrigation practices, irrigation system maintenance, and good landscape management practices. So as we roll into our hottest part of the summer, take a few moments to inspect the effectiveness of your irrigation system, and the programming of your irrigation controller so that watering occurs no more than twice per week at the cooler times of day (e.g. between 6pm and 10am). Click for more information on water conservation, sustainable landscapes, and an easy do-it-yourself irrigation system check. The Texas Living Waters Project is a joint effort of the Lone Star Chapter of the Sierra Club and National Wildlife Federation as well as our regional partner, Galveston Bay Foundation. Together, Texas Living Waters Project works to transform the way Texas manages water to better protect our springs, rivers and estuaries to meet the water needs of Texas and future generations of Texans.